We are an expert team of heating, cooling, ventilation, gasfitting and plumbing professionals that is committed to improving the lives of people in Taranaki. We believe that everyone should live and work in a healthy and comfortable environment. Our top priority is to ensure that what we install is safe to use, works well, and provides you with a cost-effective solution. We care about meeting our client¿s expectations, ensuring what we do works well and is safe. We care for each other and are proud of our workmanship. We care about doing what¿s right for our industry, our community and our environment. 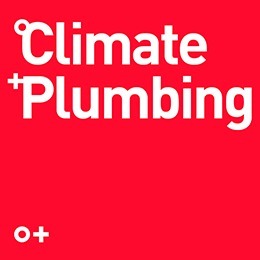 Since 2010, Climate & Plumbing has been owned and operated by Sam and Lee Tyson. The most recent owners in Climate & Plumbing¿s rich history, they continue to evolve the brand and prove they care deeply for the people of Taranaki. Our team of 25, are highly skilled and have been working in the indoor climate, plumbing and gasfitting industries for many years. You can expect the highest of standards of workmanship and service from each and every one of us. We invite you to visit our showroom to meet our team and learn more about our products and services.